Effie Worldwide named the most effective marketers in the world, based on the global results of the 2017 Effie Effectiveness Index. Unilever, Vodafone, WPP, BBDO Worldwide, Sancho BBDO and ACG Advertising Agency held the top rankings in the categories of Most Effective Marketer, Brand, Agency Holding Group, Agency Network, Agency Office and Independent Agency, respectively. Now in its seventh year, the Effie Index recognizes the companies that create the most effective marketing communications ideas from around the world, determined by their cumulative success in more than 40 national, regional and global Effie Awards competitions. The 2017 Effie Index is compiled from 3,601 finalists and winning entries from worldwide Effie Awards competitions held between January 1, 2016 and December 31, 2016. Global food and beverage companies continue to dominate the most effective marketer ranking. Unilever jumped one spot to regain the title of Most Effective Marketer, globally, in this year’s rankings. It previously held the top spot from 2012-2014. Nestlé moved up two spots as the second most effective marketer, while Procter & Gamble retained its third place ranking. The Coca-Cola Company slid down three spots to fourth and PepsiCo retained its fifth place ranking. Along with mobile phone leader Vodafone, Mondelez International, McDonald's, Mars and global furniture retail giant IKEA round out the top 10. Vodafone moved up one spot to replace Coca-Cola as the most effective global brand in 2017. After dominating the top spot for the past four years Coca-Cola moved to second, followed by McDonald’s. Pepsi moved to number four, while IKEA broke into the top five for the first time ever, ranking fifth. Global brands Heineken, Burger King and MasterCard, along with Spanish mobile phone operator Movistar and Malaysian communications service provider, Maxis are included in the top 10. Sancho BBDO (Bogotá) regained its title as the Most Effective Individual Agency Office in 2017, behind its success for brands Fundación Éxito, HUAWEI and Visa, among other regional and global brands. MullenLowe Lintas (Mumbai) moved up three spots to number two, followed by McCann’s FP7/DXB (Dubai) at number three. Ogilvy & Mather (Mumbai) dropped two spots to number four and Colenso BBDO (Auckland) was included in the top five for the first time since 2013. The top 20 most effective agencies are a globally diverse mix of agencies from Argentina, Colombia, Hungary, India, New Zealand, Peru, Romania, Taiwan, Turkey, UAE, and the United States. 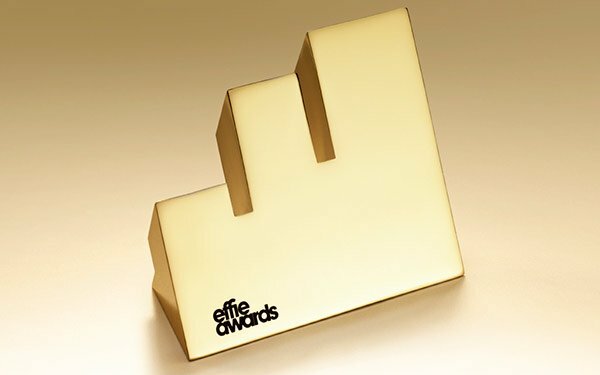 The Index is constructed by converting every Effie Award and Finalist into points – 12 for a Grand Effie, eight for Gold, six for Silver, four for Bronze and two for a Finalist (with contributing agencies receiving half these points). Throughout the Index, ‘Country’ and ‘Region’ refer to where a campaign ran, not the location of the agency or marketer responsible for it. Additional information about how the rankings are compiled can be found here. The full rankings can be seen here.